Omega garden is a company based in Canada. 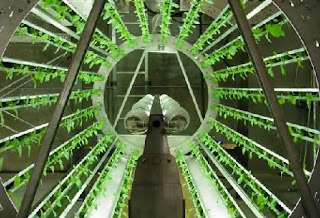 They have patented a rotatory cylindrical system to grow plants in your own home. They provide you a long list of plants that can be grown, although, this system is specially indicated for food production, you can grow other kinds of plants, flowers, for example.. The design maximizes energy and water consumption, it contributes to sustainability by reducing in packaging, transportation and the use of pesticides.